Vocalise is our Youth Choir. Under the leadership of our musical directors, Matthew Thomas and Jeff Borradaile, we sing an exciting range of songs, all a cappella. No audition! 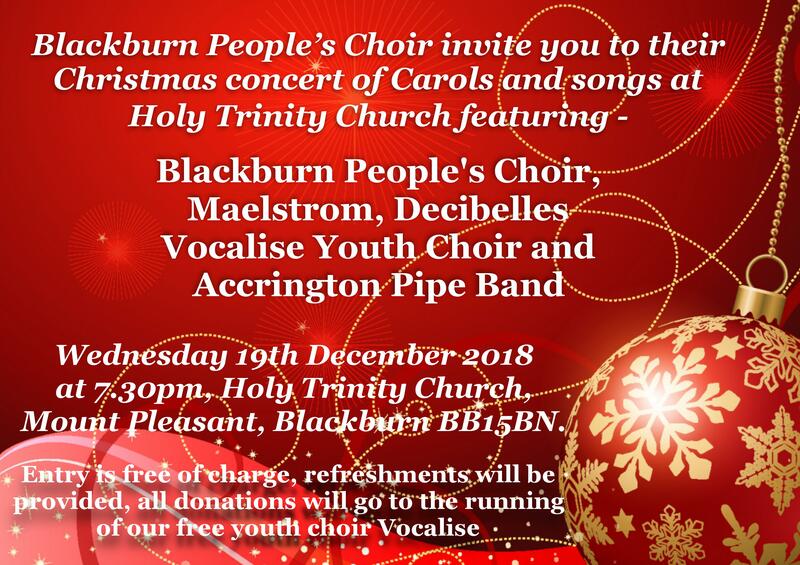 Our choir is supported by Blackburn People’s Choir and friends and there is no charge for members. We meet every Thursday 5.30pm – 6.30pm. Vocalise is sponsored by Blackburn with Darwen Arts Council, The John Laing Charitable Trust Fund, and The Young Weavers. For more information email vocalise@blackburnpeopleschoir.org or call 07834 609846. On one of the hottest nights of the summer our Summer Concert was a sizzler! Vocalise has been fortunate to receive funding from the Community Foundation for Lancashire. A Film crew recently visited to make a video of what we do.